The purpose of this page is to give the facts about Electroshock Treatment (Electroconvulsive therapy, ECT) including it’s history, documented risks, known statistics on modern day usage, as well as a detailed timeline of ECT starting with its inception in 1938, to the FDA’s initial involvement with the ECT device (1976) and ending with American Psychiatric Association’s 2016 push to increase its use. ECT sends up to 460 volts of electricity through the brain in order to induce a grand mal seizure, a type of seizure that involves a loss of consciousness and violent muscle contractions, masked by an anesthetic. The FDA has never required clinical studies that prove electroshock is either safe or effective, despite being used for more than 75 years. Today, the FDA admits that ECT can cause cognitive and memory dysfunction, neuropathological changes or brain damage, and death. Italian psychiatrist Ugo Cerletti saw that electric shock used on pigs at a Rome slaughterhouse induced epileptic attacks and then considered its use on humans. When first used without anesthetic, the convulsions ECT produced in patients were so violent that they frequently broke bones. The most famous depiction of electroshock was in the 1975 multi-Academy Award-winning film version of Ken Kesey’s book, One Flew Over the Cuckoo’s Nest, featuring Jack Nicholson’s character, R.P. McMurphy, being electroshocked. The brutal scene of his being shocked without anesthesia—called “unmodified ECT”—was seared into the public’s mind. And, perhaps not coincidentally, electroshock appeared more prominently in the 1970s onwards as “electroconvulsive therapy” in psychiatric studies—no doubt to avoid the negative connotation of its brutality and harm. The voltage given in today’s ECT is higher than when patients suffered breaking bones when it was administered without anesthetic. Today ECT is given to patients after an anesthetic and a muscle relaxant have been administered. Psychiatrists claim that this “new and improved” ECT is “safer,” but this is false. The voltage given in today’s ECT is higher than when patients suffered breaking bones when it was administered without anesthetic. The muscle relaxant makes it appear less barbaric than earlier electroshock—but it is not. Additionally, the muscle relaxant itself has dangerous and life-threatening side effects. Succinylcholine is the most commonly used muscle relaxant for ECT. According to the drug label, it can cause cardiac arrest, prolonged respiratory muscle paralysis and potentially life-threatening and/or fatal allergic reactions. Electrical shock has been used for torturing political dissidents, such as is in China, or inflicted upon prisoners of war (such as Abu Ghraib in Iraq), which the United Nations (UN) classified as torture. Electrical shock has been used for torturing political dissidents, such as is in China, or inflicted upon prisoners of war (such as Abu Ghraib in Iraq), which the United Nations (UN) classified as torture stating, “The use of electroshocks on prisoners has been found to constitute torture or ill-treatment.” Yet, patients are subjected to electroshock in psychiatric institutions, the difference being they are first put into drug-induced unconsciousness before the electricity courses through the brain causing convulsions in the body. That it is given to “consenting” individuals is bad enough (as they are given misleading, if not, false information about ECT’s effectiveness), but to inflict it upon the elderly, children and pregnant women should constitute criminal abuse. Around the world, an estimated one million people receive ECT each year. And based on the sample statistics below, about a third are involuntary patients or had ECT forced on them. Yet, while psychiatrists claim that “mental illness” should be treated on the same basis as medical illness, no one can be forced to undergo an appendectomy or surgical procedure without consent and/or against their will. An estimated 100,000 people receive ECT in the U.S. each year. However, nobody really knows how many people are actually receiving it because there are only four states (California, Colorado, Massachusetts and Texas) that report on ECT statistics. The 100,000 estimate comes from a dated study published in 1995. Out of the four states required to report on ECT use, Texas is the only one that has made the reports easily available online. It was reported that there were 17,006 ECT “treatments” administered in Texas between September 2015 and August 2016 on 2,675 patients. Twenty-six of these patients (9.7 percent) reported severe (24 patients) or extreme (2 patients) memory impairment within two to four weeks after receiving ECT. Two thirds of the patients were women and 19 percent were aged 65 or older. In Queensland, Australia, 19,365 ECT procedures were conducted in 2014-15 compared to 16,602 in 2013-14. These procedures were conducted on more than 1,500 patients ranging from 10 to 81 years in 2014-15 compared to 1354 in 2013-14. Almost a third of the patients (559) were forced into the treatment. In 2013, 372 patients received ECT in Scotland, with only 67 percent consenting to it. Therefore, 124 patients (one third) were given ECT against their will. Patients that refuse the treatment can be forcibly held down and anesthetized for the procedure. The percentage of patients receiving ECT involuntarily in Scotland is increasing. In 2006, 10 percent of ECT patients were involuntary; in 2010, 25 percent and in 2013, 33 percent. In 2015, 225 patients were given ECT in New Zealand. Of these, 66 received it despite not having the capacity to consent to it. Another five were given it despite having the capacity to consent and refusing the treatment, so essentially nearly a third had it forced upon them. From 2015 to 2016, ECT was administered over 22,600 times to more than 2,200 patients. The number of ECT procedures administered increased 11 percent over four years. The average number of ECT treatments per patient also rose, from 9.6 in 2012-13 to 10.1 four years later. 1940: German psychiatrist, Lothar B. Kalinowsky, witnessed Cerletti’s second test of electroshock and became one of the most ardent and vigorous proponents of ECT in the world. In 1939, he introduced the electroshock procedure to France, Holland and England, and later helped pioneer it in the United States. On July 6, 1940, The New York Times first mentioned it as “Insanity Treated by Electric Shock.” By 1940, ECT was in use in many countries. One study conducted in the 1940s found that 20 percent of patients administered electroshock suffered compression fractures of the vertebrae. One Flew Over the Cuckoo’s Nest, both the book and the film, have been credited with irreparably tarnishing the image of ECT, with the public viewing it as dangerous and inhumane. 1975: The film One Flew Over the Cuckoo’s Nest was released, based on a book written 13 years earlier, in which the main character received ECT, depicted correctly as a brutal procedure. Both the book and the film have been credited with irreparably tarnishing the image of ECT, with the public viewing it as dangerous and inhumane, which helped quicken its departure from mainstream mental health care at that time. ECT use declined in the 1960s and 1970s, but revived starting in the early 1980s. 1976: The FDA was given the authority to regulate medical devices. Those devices that were already in use, including the ECT machine, were “grandfathered” in and were given temporary permission to be sold until the FDA determined the risk classification for each. These devices are known as preamendments devices (as they were marketed prior to the legal amendments that gave the FDA the authority to regulate devices). Note about medical device classifications by the FDA: Class I is the lowest risk classification—including things such as elastic bandages and reading glasses—and Class III is the highest risk with “potential unreasonable risk of illness or injury.” If a device is classified as Class III, the manufacturers must submit an application to the FDA to gain approval to market and sell the device. This is called a Premarket Approval application (PMA) and consists of scientific and regulatory documentation—including clinical trials—that demonstrate the safety and effectiveness of the device. 1979: The FDA issued a “final rule” classifying the ECT device as Class III, requiring “each manufacture of the device to submit to FDA a premarket approval application that includes information concerning safety and effectiveness tests for the device” by May 1982. 1982: The FDA allowed the 1982 deadline to pass and failed to enforce its order that the manufacturers demonstrate safety and efficacy. In August, the APA filed its petition requesting the FDA to reclassify ECT as a Class II machine so that manufacturers would not need to demonstrate safety and efficacy. 1983: The FDA initiated proceedings to reclassify ECT as Class II. 1990: The FDA took no action on the ECT classification for five more years until the Safe Medical Devices Act of 1990 was passed, forcing the FDA to either reclassify the Class III preamendments devices or require their manufacturers to submit premarket approval applications. On September 5, the FDA issued another proposed rule indicating its intent to reclassify the ECT device to Class II for severe depression but to remain as Class III for all other indications—although it had no clinical trials to substantiate this decision. 1995: Five more years passed with no action, and the FDA issued an order dated August 14, calling for the manufacturers of ECT devices to submit “all information known or otherwise available to them … including adverse safety or effectiveness information … which has not been submitted” no later than August 14, 1997. The purpose was so the FDA could determine whether to reclassify the device or require premarket approval applications. 2004: The manufacturers failed to comply and again the FDA failed to enforce its Order. Rather, nearly 10 years later, the FDA issued a Notice on November 26, 2004, announcing the withdrawal of certain rules, which included the September 1990 proposed ECT rule, claiming this was because FDA was “to reduce its regulatory backlog and focus its resources on current public health issues.” The FDA stated it intended to start new proceedings on ECT devices “in the future.” This Notice did not cancel or mention the 1995 Order—only the 1990 proposed rule. 2009: In January, the Government Accountability Office published a report urging the FDA to “expeditiously take steps” to resolve the unacceptably long time some preamendments Class III devices remained on the market without having submitted PMAs. In April, the FDA once again issued an order requiring ECT device manufacturers submit any information known to them about the device, including adverse safety or effectiveness information, this time setting a deadline of August 2009. In response to the order, ECT manufacturers turned in two submissions to the FDA, explaining why they thought ECT devices should be reclassified as Class II despite the “potential risks” they acknowledged which included cognitive adverse events, electrical hazards, prolonged seizures, brain damage (including structural injury and brain cell injury) and death. In September, the FDA opened a public docket for information and comments on the reclassification of ECT devices, requesting all comments by January 9, 2010. Between September 2009 and January 2010, the FDA received 3,045 responses, with 79 percent opposing the reclassification (meaning they wanted the device to stay as Class III). Additionally, there were 92 group submissions, representing 6,462 individuals against reclassification and only 462 individuals in favor of reclassification. The majority of respondents identified an adverse event they felt was associated with ECT including memory adverse events, cognitive complaints, brain damage and death. 2011: In January, the Neurological Devices Panel meeting was held. After reviewing studies, practice guidelines, adverse events reported to the FDA, public docket submissions, the FDA’s review of published studies and more, the panel recommended staying at a Class III for schizophrenia, bipolar mania (and mixed states), schizoaffective disorder and schizophreniform disorder. The panel did not reach a consensus on classification of ECT for catatonia or depression. When discussing ECT for the use of depression, however, nine panel members supported a Class III designation while only eight panel members thought it should be reclassified to Class II. Dr. Matthew Rudorfer, a psychiatrist who administers and oversees grant money for the National Institute of Mental Health (NIMH), including for electroshock research, told The New York Times in January that new clinical trials “might be too expensive” for the manufacturers to prove their device was safe and effective as the companies “tend to be mom-and-pop operations. 2015: Nearly five more years passed with no action from the FDA. In December 2015, the FDA issued a proposed order to reclassify the ECT device as Class II for “severe major depressive episode associated with major depressive disorder or bipolar disorder in patients 18 years of age and older who are treatment-resistant or who require a rapid response due to the severity of their psychiatric or medical condition,” despite the thousands of public comments against its reclassification and conflicting information in published articles and studies regarding the safety and efficacy of ECT. Additionally, the FDA’s review of ECT literature arbitrarily excluded over a thousand studies, many of which concluded that ECT lacked efficacy and unquestionably created severe and permanent injury, including the death of some patients. Note that if the FDA were to lower the classification for even one condition, ECT manufacturers could easily get away with never submitting a Premarket Approval application to prove safety and effectiveness. As long as the manufacturers only market ECT devices for the Class II designation, psychiatrists can then use the devices however they want—the FDA not does regulate the use of the machines, only the marketing and selling of them. As the FDA had taken no further action since December 29, 2015, on August 24, 2016, constitutional rights law firm, Emord & Associates filed a “Citizens Petition” to the FDA Commissioner on behalf of five individuals damaged by ECT demanding the FDA to determine a “final regulation making electroconvulsive therapy (“ECT”) devices banned devices or maintain the Class III classification of the devices and issue a final order establishing the effective date for premarket approval (PMA) for all ECT devices.” Unless PMAs are submitted, the electroshock device would be required to be removed from the market. As of April 2017, the FDA has continued to procrastinate over safeguarding Americans from a device that has yet to be proven as “safe and effective,” while untold, unknown numbers of children, adults and the elderly are being electroshocked every year. Today, to avoid the negative backlash electroshock still causes, psychiatrists have sanitized its name even further, calling it a “neurostimulation” treatment. They still have no proof or workable theory, even, of how ECT “works.” A heart surgeon could not perform a coronary bypass operation if he didn’t know how the heart works and has dozens of unsubstantiated theories—but no scientific fact—about why it should be performed. Likewise, psychiatrists should not be allowed to perform electroshock or any other brain intervention procedure. To see a copy of the submission CCHR submitted to the FDA opposing the reclassification of the ECT device, click here. For more information the American Psychiatric Associations push to increase the use of ECT in children, click here. Vabren Watts, “Psychiatrists Discuss Benefits, Risks of ECT,” Psychiatric News, 15 Jun 2015, http://psychnews.psychiatryonline.org/doi/full/10.1176/appi.pn.2015.6b16?trendmdshared=. 1; “Electroconvulsive Therapy Review Guidelines,” New York Office of Mental Health, point 1d, https://www.omh.ny.gov/omhweb/ect/guidelines.htm. Gary Null, PhD, “The Hidden Side of Psychiatry,” http://scribd-download.com/4659536-the-hidden-side-of-psychiatry-gary-null-ph-d_58c9f4a1ee34352a775d04e7_pdf.html. Citizens Petition filed with FDA Commissioner, August 2016. “Origins of ECT,” Convulsive Therapy, Vol. 4., No. 1., 1988, p. 7, http://www.academia.edu/10921818/The_Origins_of_Electroconvulsive_Therapy_ECT. “How ‘One Flew Over the Cuckoo’s Nest’ changed psychiatry,” The Telegraph, 1 Feb. 2011, http://www.telegraph.co.uk/news/worldnews/northamerica/usa/8296954/How-One-Flew-Over-the-Cuckoos-Nest-changed-psychiatry.html. Douglas G. Cameron, “ECT: Sham Statistics, the Myth of Convulsive Therapy, and the Case for Consumer Misinformation,” The Journal of Mind and Behavior, Vol 15, No 1 and 2, Winter and Spring 1994, pp 177-198, http://www.ectresources.org/ECTscience/Cameron__DG___1994_critique_of_ECT.pdf. Nancy Kerner and Joan Prudic, “Current electroconvulsive therapy practice and research in the geriatric population,” Neuropsychiatry (London), Feb 2014, https://www.ncbi.nlm.nih.gov/pmc/articles/PMC4000084/. United Nations General Assembly, Sixty third session, Item 67 (a) of the provisional agenda, Promotion and protection of human rights: implementation of human rights instruments, A/63/175, 28 Jul 2008, pg. 15, www.un.org/disabilities/images/A.63.175.doc. “How Electroshock Treatment (ECT) ‘Works,’” Kenneth Castleman, PhD., https://www.cchrint.org/ect-basics/. NEUROLOGICAL DEVICES PANEL, CENTER FOR DEVICES AND RADIOLOGICAL HEALTH MEDICAL DEVICES ADVISORY COMMITTEE, FOOD AND DRUG ADMINISTRATION, pp 148-149, 27 Jan 2011, http://www.fda.gov/downloads/AdvisoryCommittees/CommitteesMeetingMaterials/MedicalDevicesAdvisoryCommittee/neurologicalDevicesPanel/UCM247594.pdf.%20Accessed%20December%203. “Electroconvulsive Therapy (ECT) Devices for Class II Intended Uses,” Draft Guidance for Industry, Clinicians and Food and Drug Administration Staff, December 29, 2015, http://www.fda.gov/downloads/MedicalDevices/…/UCM478942.pdf; “Electroconvulsive Therapy (ECT) Devices for Class II Intended Uses,” Draft Guidance for Industry, Clinicians and Food and Drugs Administration Staff, Food and Drug Administration, Center for Devices and Radiological Health, 29 Dec 2015, https://www.fda.gov/downloads/MedicalDevices/…/UCM478942.pdf. CPL Freeman and RE Kendell, “Patients’ Experiences of and Attitudes to Electroconvulsive Therapy,” Annals of the New York Academy of Sciences, Vol 462, pp 341-352, 1986, https://www.academia.edu/26997077/Patients_Experiences_of_and_Attitudes_to_Electroconvulsive_Therapy. Wayne Ramsay, J.D., “Psychiatry’s Electroconvulsive Shock Treatment, A Crime Against Humanity,” http://www.wayneramsay.com/ect.htm. Vabren Watts, “Psychiatrists Discuss Benefits, Risks of ECT,” Psychiatric News, 15 Jun 2015, http://psychnews.psychiatryonline.org/doi/full/10.1176/appi.pn.2015.6b16?trendmd-shared=1. Juli Lawrence, “California Figures from the Department of Mental Health,” Healthy Place, 10 Apr 2013, http://www.healthyplace.com/depression/articles/california-figures-from-the-department-of-mental-health/. Richard C. Hermann, et al., “Variation in ECT Use in the United States,” The American Journal of Psychiatry, 152:6, Jun 1995, http://www.cqaimh.org/Hermann.ECT.1995.pdf. “Report on Electroconvulsive Therapy in Fiscal Year 2016,” Texas Health and Human Services Commission, Feb 2017, https://www.dshs.texas.gov/Behavioral-Health-Medical-Director/ECT-Documents/FY16/Report-on-Electroconvulsive-Therapy-in-Fiscal-Year-2016—Sonja-Gaines.pdf. Nathan Torpey, “Alarming spike in risky therapy in kids,” The Courier Mail, 19 Nov 2016, http://www.couriermail.com.au/news/queensland/alarming-spike-in-risky-therapy-in-kids/news-story/6583b6c1ad8ced322de6cfb425f5a753. Claire McKim, “Scots get electric brain shocks against their will,” The Scotsman, 13 Nov 2014, http://www.scotsman.com/news/scotsgetelectricbrainshocksagainsttheirwill13604496. Katarina Williams and Rachel Thomas, “Electroconvulsive Therapy given five times in 2015 without consent,” Stuff, 4 Dec 2016, http://www.stuff.co.nz/national/health/87055170/electroconvulsivetherapygivenfivetimesin2015withoutconsent. Nicola Davis and Pamela Duncan, “Electroconvulsive therapy on the rise again in England,” The Guardian, 17 Apr 2017, https://www.theguardian.com/society/2017/apr/17/electroconvulsive-therapy-on-rise-england-ect-nhs. Leonard Roy Frank, The History of Shock Treatment, San Francisco: Leonard Roy Frank, 1978. Gordon Thomas, Journey into Madness, (Corgi Books, Transworld Publishers Ltd. 1988), p. 139. Richard Abrams, “Interview with Lothar Kalinowsky, M.D., October 8, 1987, Convulsive Therapy 4 (1988): 1 [footnote 5, p. 257, Dr. Thomas Röder, Volker Kubillus, Anthony Burwell, Psychiatrists–The Men Behind Hitler (Los Angeles, Freedom Publishing, 1995)]. Nicholas Bakalar, “1940: Electroshock Therapy,” The New York Times, 17 Aug. 2015, https://www.nytimes.com/2015/08/18/science/1940-electroshock-therapy.html. Reported in Louis Lowinger and James Huddleson, “Complications in electric shock therapy,” American Journal of Psychiatry, 102 (March 1946): 594-598. Jon Swaine, “How ‘One Flew Over the Cuckoo’s Nest’ changed psychiatry,” The Telegraph, 1 Feb 2011, http://www.telegraph.co.uk/news/worldnews/northamerica/usa/8296954/How-One-Flew-Over-the-Cuckoos-Nest-changed-psychiatry.html. Federal Register, Vol. 44, No. 172, September 4, 1979, page 51776-51777, reporting 21 CFR Part 882 [Docket No. 78N-1103]. “The Council on Research,” Am J Psychiatry, Vol 138, No 4, Apr 1981, pg. 572. Federal Register, Vol. 48, No. 66, April 5, 1983, page 14758, Docket No. 82P-0316. Federal Register, Vol 55, No. 172, pg. 36578, September 5, 1990, pg. 36578. Daniel Goleman, “Health; The Quiet Comeback of Electroshock Therapy,” The New York Times, 2 Aug 1990, http://www.nytimes.com/1990/08/02/us/health-the-quiet-comeback-of-electroshock-therapy.html?pagewanted=all. Federal Register, Vol. 60, No. 156, August 14, 1995, pages 41986-41989, Docket No. 94N-0417]. Federal Register, Vol. 69, No. 227, November 26, 2004, p. 68831-68838. “FDA Should Take Steps to Ensure That High-Risk Device Types Are Approved through the Most Stringent Premarket Review Process,” United States Government Accountability Office, Report to Congressional Addressees, GAO-09-190, Jan 2009, http://www.gao.gov/assets/290/284882.pdf. Federal Register, Vol. 74, No. 67, April 9, 2009, pp 16214-16217, https://www.gpo.gov/fdsys/pkg/FR-2009-04-09/pdf/E9-8022.pdf. Federal Register, Vol. 80, No. 249, December 29, 2015, Proposed Rules, pg 81226, https://www.gpo.gov/fdsys/pkg/FR-2015-12-29/pdf/2015-32592.pdf; FDA Executive Summary, Prepared for the January 27-28, 2011 meeting of the Neurological Devices Panel, Meeting to Discuss the Classification of Electroconvulsive Therapy Devices (ECT), pp 14-15, https://www.fda.gov/downloads/AdvisoryCommittees/CommitteesMeetingMaterials/MedicalDevices/MedicalDevicesAdvisoryCommittee/NeurologicalDevicesPanel/UCM240933.pdf. Federal Registers, Vol. 74, No. 174, September 10, 2009, pp 46607-46608, https://www.gpo.gov/fdsys/pkg/FR-2009-09-10/pdf/E9-21807.pdf. FDA Executive Summary, Prepared for the January 27-28, 2011 meeting of the Neurological Devices Panel, Meeting to Discuss the Classification of Electroconvulsive Therapy Devices (ECT), pp 13-14, https://www.fda.gov/downloads/AdvisoryCommittees/CommitteesMeetingMaterials/MedicalDevices/MedicalDevicesAdvisoryCommittee/NeurologicalDevicesPanel/UCM240933.pdf. Federal Register, Vol. 80, No. 249, December 29, 2015, pg. 81230, https://www.gpo.gov/fdsys/pkg/FR-2015-12-29/pdf/2015-32592.pdf. Center for Devices and Radiological Health, Medical Devices Advisory Committee, Neurological Devices panel, January 28, 2011, pp 439-462, https://www.fda.gov/downloads/AdvisoryCommittees/CommitteesMeetingMaterials/MedicalDevicesAdvisoryCommittee/neurologicalDevicesPanel/UCM247595.pdf.%20Accessed%20December%203. Duff Wilson, “F.D.A. 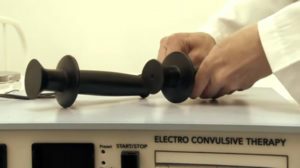 Is Studying the Risk of Electroshock Devices,” The New York Times, 23 Jan 2011, http://www.nytimes.com/2011/01/24/business/24shock.html; Extramural Programs and Contacts (Listed by Division), National Institute of Mental Health, https://www.nimh.nih.gov/about/organization/extramural-programs-and-contacts-listed-by-division.shtml, accessed 2 May 2017. Federal Register, Vol. 80, No. 249, Tuesday, December 29, 2015, Proposed Rules, pp 81223-81233, https://www.gpo.gov/fdsys/pkg/FR-2015-12-29/pdf/2015-32592.pdf. FDA’s Role in Regulating Medical Devices, https://www.fda.gov/MedicalDevices/ProductsandMedicalProcedures/HomeHealthandConsumer/HomeUseDevices/ucm204884.htm.